The first week of NFL football has finally come and gone, and brought with it a number of exciting games and individual performances. As you certainly know if you caught all of the action on your Direct tv Network through Sunday NFL Ticket, virtually every game this week featured something for the average fan to get excited about, whether it was an upset, a blowout, or a great performance by a specific player. In particular, people who play fantasy football are probably interested in some of these great individual performances. So, let’s take a look at some of week 1’s top performers, from a fantasy perspective. The top performer at the quarterback position was undoubtedly Tom Brady, who turned in an absolutely amazing performance on Monday night. Brady completed 32 of 48 pass attempts for a stunning 517 yards, and 4 touchdowns (with just 1 interception). No matter what type of scoring system your league uses, Brady almost certainly scored the highest of the quarterbacks. His opponent, however, Chad Henne of the Miami Dolphins, had quite a night as well, completing 30 of 49 pass attempts for 416 yards, 2 touchdowns and 1 interception. Other top performers at quarterback include Cam Newton (who threw for an astounding 422 yards in his rookie debut) and Drew Brees. Thanks in large part to the efforts of Newton and Brady, Carolina’s Steve Smith and New England’s Wes Welker turned in the top two performances by receivers. Smith caught 8 passes for 178 yards and 2 touchdowns, while Welker caught 8 passes as well, for 160 yards and 2 touchdowns. The rankings in this article are made with specific reference to ESPN’s fantasy scoring system, but just about any way you cut it, these two led all receivers in week 1. Curiously, it was a bit of a slow week for running backs, though Ray Rice managed 107 yards and 1 touchdown on 19 carries, in addition to 42 yards and a touchdown on the receiving end. San Diego’s Mike Tolbert also had a good first week (just 35 rushing yards, but a rushing touchdown and 2 receiving touchdowns), and LeSean McCoy turned in 122 rushing yards with both a rushing and a receiving touchdown. Generally, fantasy experts stress that it is a bad idea to take the first week too seriously. So, it may be foolish to rush to start Cam Newton, or to put all of your faith in Steve Smith. 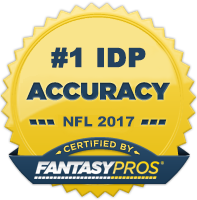 However, to maximize your fantasy potential, it is a good idea to at least loosely monitor week 1, so that you will not be surprised by as many performances going forward.